The chair of Blackpool Supporters’ Trust says Natalie Christopher’s recent comments are a case of “rinse and repeat” from the Oyston family. Christine Seddon appeared on BBC Radio Lancashire this evening responding to the second part of the club chairwoman’s interview. In that interview, Christopher claimed Valeri Belokon doesn’t want to take over the club and appeared to suggest Jonathan Disley, the man who has been in talks with Owen Oyston in recent weeks, would not make for the right partner. Any response from Valeri Belokon? “No, we’ve had no response. "I don’t think Mr Belokon wants to take the club on. I think there has been some mixed messages there from everybody really, it’s been around the town that he wants to come and take it over when I don’t think that’s his intention. “But you never know, he might surprise us. “I can’t really comment on John Disley, I don’t know much about him and I’ve not been in his company. “I think there are some people that just won’t come back and that’s really sad. “I don’t have anything against any of the fans. I think if we could get some of them back that would be wonderful. “I’d like to spend some time with them and I’d like to put their ideas into the club and I’d like to make some of them, that will hopefully think of coming back, feel part of it again. “I think a lot of people feel very separated from the club and I’d like to change that. I can only try and do that and get people in. It won’t happen overnight, it people will give me the chance to do that then I’d be grateful. “Life is difficult, it’s full of challenges. There’s worse things than the torment at this football club. “I was at the match on Saturday and one of the fans has not got very long to live, they’ve been diagnosed and they’ve got about two months to live. “That’s a real problem in my mind. Everything else, while we’re still here and still on this planet, we can still try and keep trying to sort things out. I will do what I can. “I love Blackpool, I love the people and I don’t mind taking a bit of flack as long as people will listen and look to try and give me a chance. “They need to give the team a chance too, it’s not really about me. It’s more about the team and how they perform and supporting them because they’re just young lads. “It’s hard to answer that because I’ve not been involved in any of the court action. I don’t even know, believe it or not, all the fans who have been involved with that. I’ve only heard a couple of names banded around. 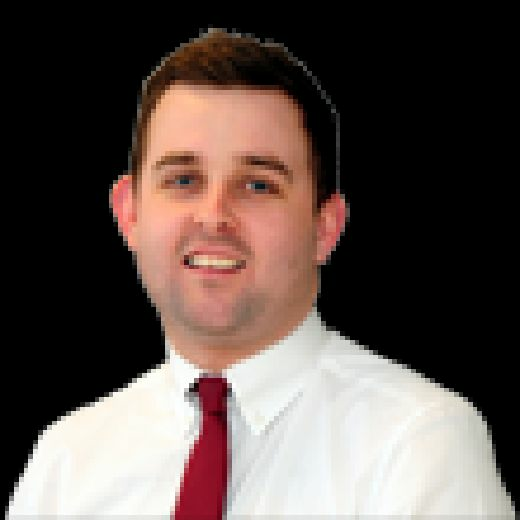 “That would be hard for them to do that (to come back), but it must have got to a bad point previously between the fans and the management here to get to that. “That’s difficult on both sides. I don’t think any football club wants to be in a position where they feel that’s their only alternative. “I don’t know what’s gone on. All I know is that I wouldn’t want to sue any fans, it’s not the way forward. But I can’t do anything about it now, it’s in the past and it’s done. “He’s not involved. Unfortunately him and my father went their separate ways some time ago. Christine Seddon, chair of Blackpool Supporters’ Trust, said in response: “It’s rinse and repeat really. “We have one old man who is holding a football club, a community asset, to ransom. “Now forgive me if I smell a rat, but we’ve suddenly got a situation where Karl Oyston - the pantomime villain - is out of the picture. Look, we got rid of him. “But now we’ve got the daughter, and I’m sure she’s a very nice lady - I’ve never met so I’m not commenting on her as an individual - she’s not been involved but she’s now been pushed forward and is going to try and do her very best and ask if we will all come back. It’s going to be alright now, isn’t it? “Well no, it’s not going to be alright. 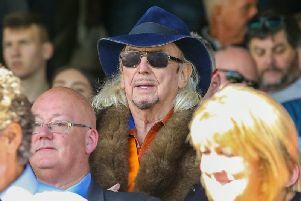 “That football club is owned by Owen Oyston, it always has been. He’s the root of the problem and frankly some of the comments that have been made are staggering and would be laughable if this situation was anything but funny. “She talks about his money keeping the football club going for 33 years, so presumably we’re supposed to overlook the fact he extracted multiple millions of pounds for his own uses and has been proven in a court to have illegitimately asset stripped the football club. “Do we forget about all that? Does that not count anymore? Frankly it’s farcical. Asked if she believes if Valeri Belokon will be the man to take the club forward, Seddon added: “Our number one priority is for new owners to come into this football club. Now who those owners are, obviously that is out of our control. “Of course we’ve had a long, established relationship with Valeri Belokon. He’s already proven himself. “He came in, it was his money that got us to the Premier League - he said we’d get there in five years, we got there in four. He’s over delivered if anything and he doesn’t actually owe us anything. “But the very fact that he has been able to, as a private businessman, take a legal action and basically torpedoed Owen Oyston financially - that’s clearly going to weaken him to a point that helps us get rid of him. “Whether Valeri will continue in some form or will be able to take the club, only he knows that. “But this legal action is a long, protracted action. All we know is that he has been given the assets of Owen Oyston, he is in control of them and gets to decide which will be sold first. “The football club is part of Segesta which I believe is in the first tranche to be sold at auction. If that goes, then I’m afraid it’s not Owen’s to sell anymore. It’s out of his control and that seems to have been glossed over. “We’d love someone like Valeri Belokon to come in because we know he’s a community minded man and that he’s always tried to engage with the fans.